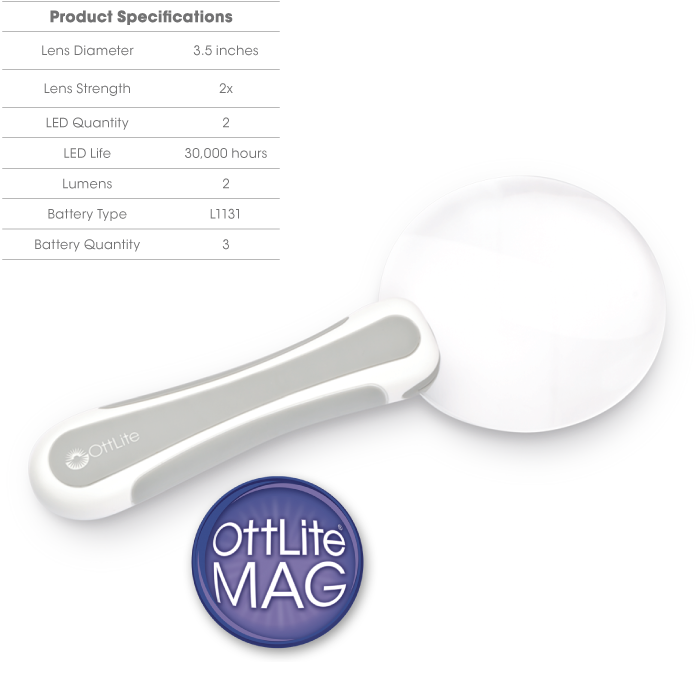 Enjoy the power of magnification and super bright OttLite LEDs right in your hand with OttLite’s new 3.5-inch Rimless LED Handheld Magnifier Light. You’ll see even the finest details with the 2x optical grade acrylic magnifier with rimless lens for uninterrupted viewing. 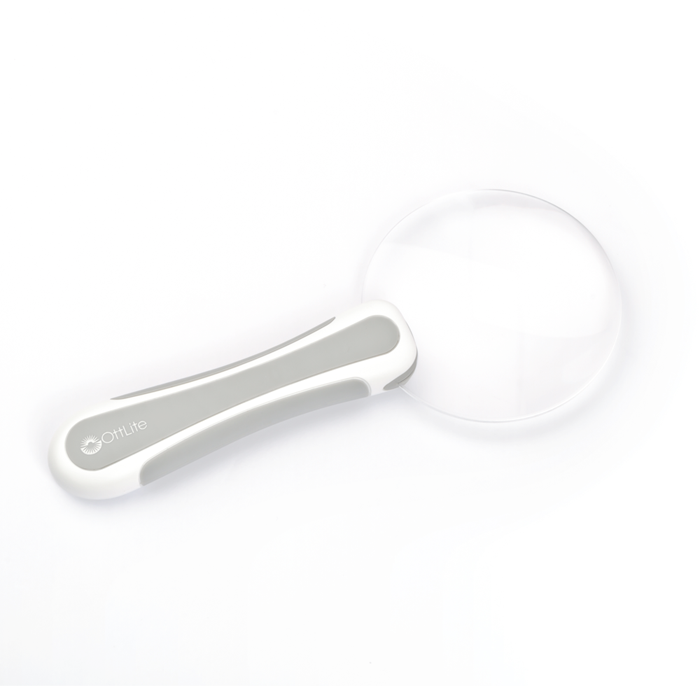 Plus, the lightweight design of this magnifying light features a large rubberized handle with no-slip grip for complete comfort.